I read a statistic the other day that shocked me. That is, in 1930 over 84% of all Americans were married. But today, the number of married people has dropped to below 50%. This is shocking. I am amazed that no one is taking up the banner and waving the flag, because the crisis of marriage in America is the greatest predictor of our future. Here is the truth: as marriage goes, so goes any society – including our own. Marriage is important. It’s key and core. The Scriptures open with a marriage and close with a marriage. And everything in between is teaching us to live in families. And the family is created first of all, when a man and a woman come together in the covenant of marriage. We must raise the value of our marriages. Men must understand that there is no success without succeeding first at home. Men in America must understand that their highest goal as a husband is to help their wives and children reach their greatest potential. My greatest success is not in the marketplace, but in my home. And out of that success extends everything else I have to offer the world. If you’re thinking about ending your marriage, don’t. It can be fixed. There is always hope. But you give up that hope the day you decide to opt for divorce rather than fight for the most precious thing you’ll ever have, and that is your marriage relationship. 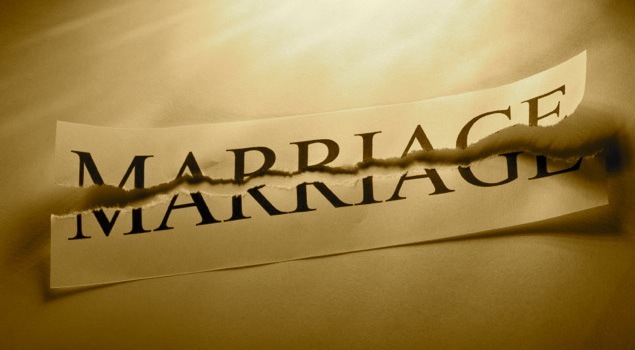 Do everything you can to keep it together because divorce is not only the quickest way to destroy your life, it’s also the number one creator of poverty in our country.